The arrival of a Ching dynasty prince instigates a treasonous plot among the townsfolk. A secretive band of revolutionaries – blighted by traitors within their own organisation – fail in an assassination attempt on the royal consort after the culprit is identified by a cleaner. The young, bullied dogsbody (played by Meng Hoi) inadvertently becomes chief aid to the prince as a reward for saving his life. He only learns of the warlord’s evil machinations via a third party; his homeless, feral bum of an uncle (played by Chien Yuet-san), a Sam the Seed character who is also one of the last remaining Buddhist Fist fighters. The boy is used as a pawn in a long-standing rivalry between the masters of the Lo Han and Buddhist Fist techniques. By steadily learning from both masters simultaneously, he proves to be quite a talent by the final reel. This is where the inventiveness of Corey Yuen’s choreography really comes to the fore. 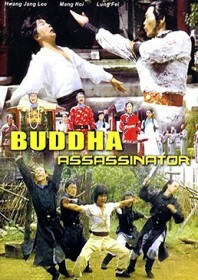 In some of his best action scenes, he adapts the prayer motions of religious devotion to embody the palm strikes of the fictitious Buddhist Fist style. Hwang Jang-lee – here playing one of his best psychopaths – whips out a lazy ‘sleeping’ style of kung fu complete with resting poses and snoring. Meng Hoi shines in the lead role, and the film is relatively unique in that it’s a chopsocky film containing a story-line with considerable substance.